What is the most special about our hostel is its size. Only 12 people can be accommodated in the hostel but that is our main goal. A small group of people that can meet and enjoy Rijeka and together with our lovely staff will feel like being home. We accept every guest as a part of a family. We offer you a pleasant and quiet accommodation in clean and air-conditioned rooms, 0-24 open kitchen, separate male and female bathrooms and free WiFi and cable TV. A clean towel is provided for every guest. The rooms give you an amazing view on the city center. It is equipped with air-condition, safe lockers and reading lamps. One of the rooms has a balcony where you can enjoy your evening with a nice glass of your favorite drink. In order to keep your private belongings safe each of our room has cabinets with your own key. Children up to 18 years and not less than 12 years pay 50% of the tax. Our reception is open 0-24h but if you are coming in late hours please use the bell in front of door as we are locking the door during the night. A friend of mine and me stayed in Hostel Korzo during our road trip. We stayed there only two days but everything was fine. The room was clean and tidy, the two bathrooms were small but clean. 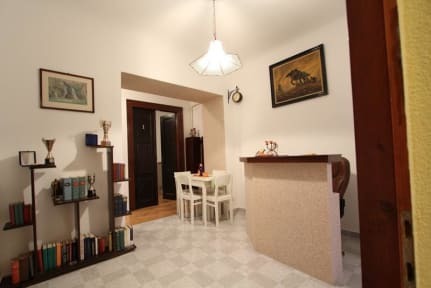 The hostel is right in the city center and you can reach everything walking. 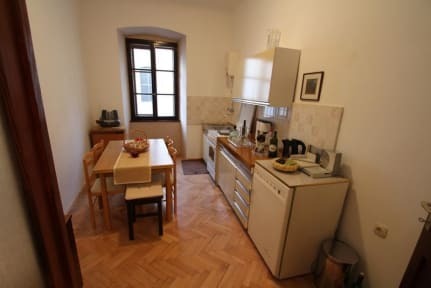 Nice hostel, close to the station and located in the main street of Rijeka. The guy at the reception tries his best to be helpful, but he cannot speak english (only german and croatian). Bathrooms are clean, but sinks are way TOO SMALL: it's impossibile to brush your theeth or wash your face without getting everything wet. Mattress was a little unconfortable because of the springs, but still ok. Kitchen very clean and furnished.